Sbarro - FREE Slice of New York Pizza for Kids! 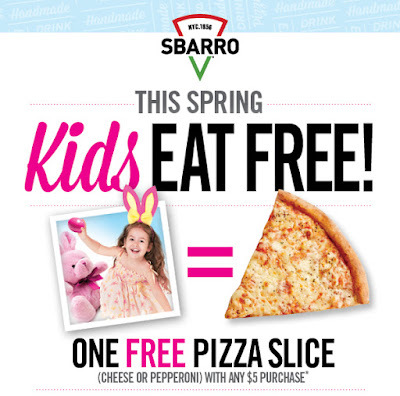 Bring your kids to Sbarro from now until April 4th to show their photo with the Easter Bunny and they'll get a FREE Slice of New York Pizza with a purchase of $5 or more! *Not good with any other discount. Participating locations only. See store for complete details.